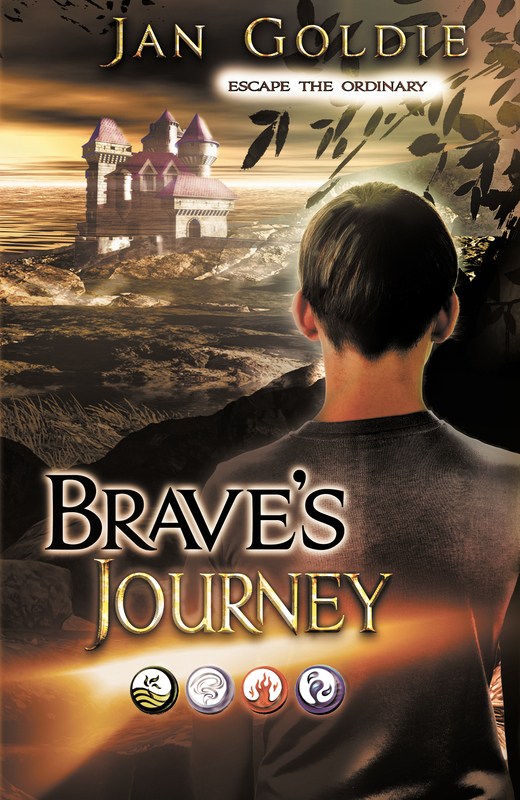 It is with very great pleasure that we announce the release of Brave’s Journey by Jan Goldie, our first New Zealand author. This book is targeted to young to middling teenagers and is packed with epic fantasy adventure. The cover was designed by the talented Elizabeth Lang of EL Designs. When Brave woke up that first, life-changing day, he had no idea that pretty soon he’d be controlling the weather, talking to royalty and journeying to another world. Let alone riding a camel. Life in the mysterious world of Arvalonia, where magic springs from the nature around you, couldn’t be more different to his ordinary existence back home. Especially when he meets True…bossy, rich, driven teenager True who’s out to make his life a misery. Discover a place where the nature of power is within the power of nature. Brave’s Journey can be purchased in ebook and print formats directly from IFWG Publishing Australia, or through all quality online stores, such as Amazon.